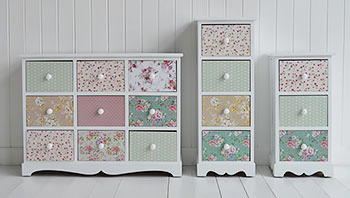 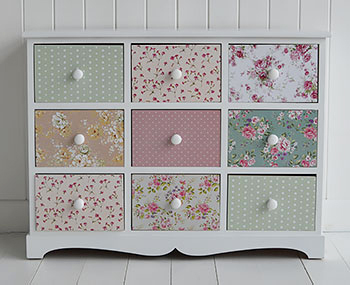 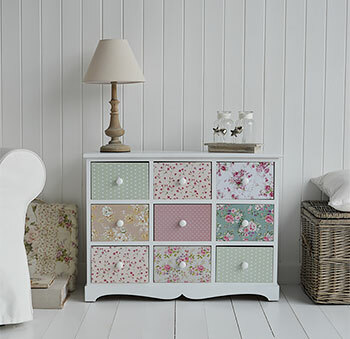 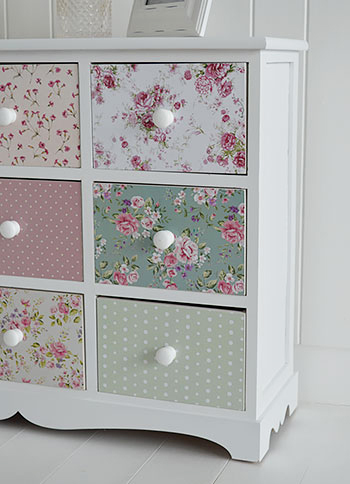 The Rosewood is a cottage style range of furniture with white surrounds and drawers, pink and pastel florals and dots in a slightly distressed finish for a complete cottage look. 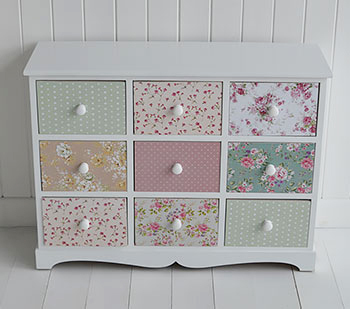 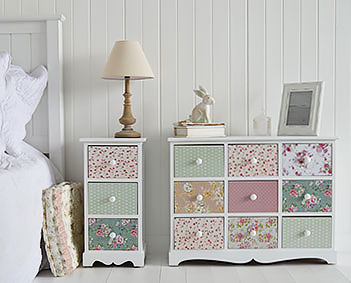 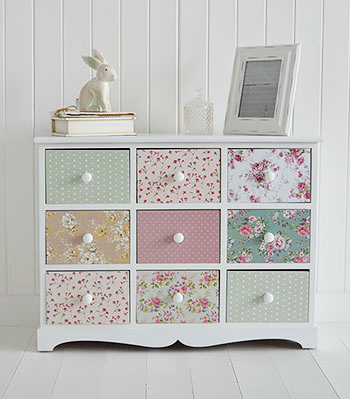 The white wooden knob handles further accentuate the gorgeous pastel colours and floral patterns of the drawers. 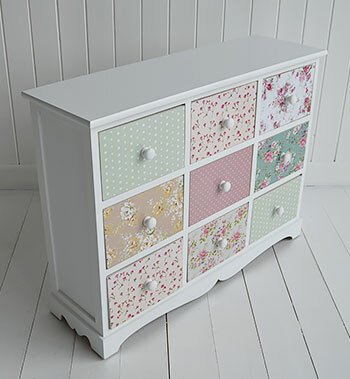 The curved white base adds a touch of elegance to the drawers.